It had turned dark when we left the Divine Mercy Hill. Dinner was our next agenda. As we approached the city center of Cagayan de Oro, I marveled at how quickly the traffic had turned heavy. I found it amusing but only at first. As we spent more and more time stuck on the highway of the city, the more I remember how hungry I was. I steeled myself and tried to reason with my stomach as we braved the rush hour. My companions tried to laugh it out, but at some point, Potpot pulled out a pack of kiamoy, passing it around for everyone. Eventually, the crawl of traffic transitioned to an inclining road, devoid of street lights. 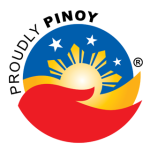 It reminded me of the way to the Angono-Binangonan Petroglyphs. It looked kinda dodgy. You wouldn't think a restaurant exists there. But there was a restaurant. And it's called High Ridge. Aptly so as it sits way up a hill, overlooking all of Cagayan de Oro. Surprisingly, despite being the definition of out-of-the-way, there was a lot of diners that night. 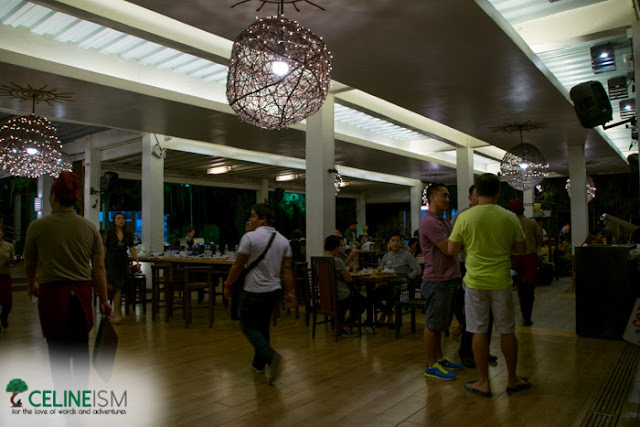 The place had a pleasant, sophisticated decor: a piece in the ceiling made of coconut husks, a bathroom worthy of a hotel, and an al fresco dining setup that evoked a similar vibe as Antipolo's Cloud 9. The air here was chilly. The city looked beautiful from here. Its light twinkling. No sign of heavy traffic. 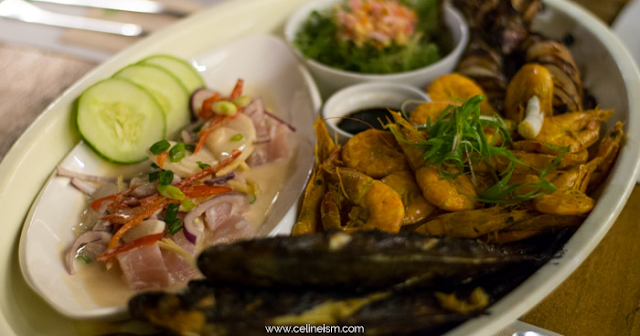 Our tour provider Earth Explorers ordered a full spread that included a Seafood Platter (Seaweed salad, Kinilaw, Grilled Kitong, Grilled Squid, and Grilled Shrimp; Php1799) and plates and plates of white rice (Php25/serving). Since I was allergic to any seafood, except fish (which was just as well since I'm a pesco-vegetarian), I was only able to taste the grilled kitong. It was OK, tasted like fish. Obviously, I was still hungry so I got an order of fresh potato fries (Php99) and a bowl of Caesar salad (Php169) (ah, the woes of pesco-vegetarians/vegetarians/vegans). By the time the fries were all consumed, I tried to order another, but I was told it had ran out. I ordered another salad instead. I loved the fries – you really can't go wrong with fries. The salad was so-so. Earth Explorers had the prescience to pre-order our meals so the waiting time was halved. My follow-up orders of salad and fries, as well as our drinks, came in in a reasonable amount of time. The staff are courteous and I loved that our pitchers of water are refilled quickly. 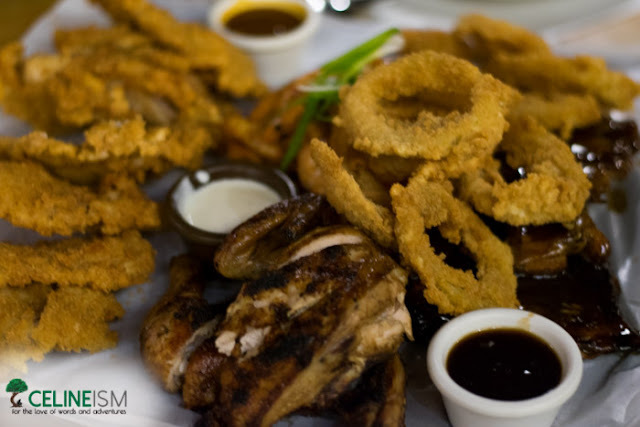 Also, entrance to the place is Php100 which is consumable on food and drinks. The selling point of this place is the great view and the balmy atmosphere. Like any "overlooking" restaurant, the best time to go here is at night. 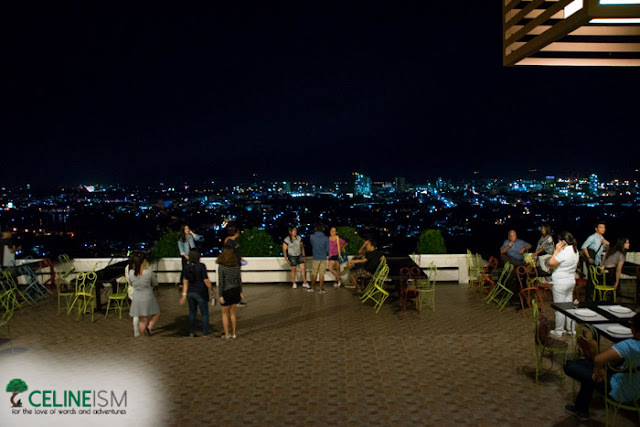 Getting to High Ridge might not be as easy as boarding a jeepney, but judging from the number of diners that night, the place is popular and people don't mind going out of their way to get here. Or maybe the people who dine here all have their own cars. 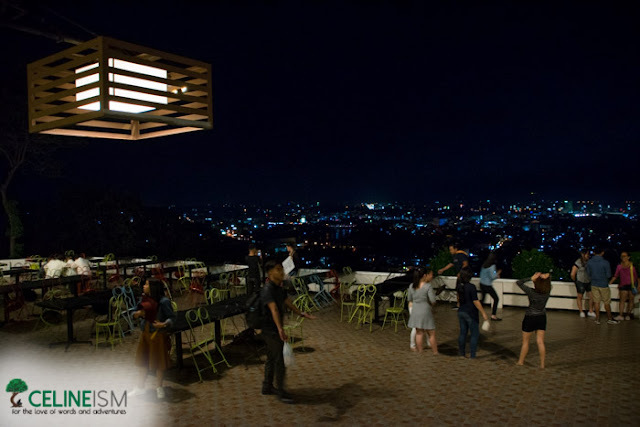 Nevertheless, if you want an escape from the fast-paced city life in Cagayan de Oro, go have dinner at High Ridge. 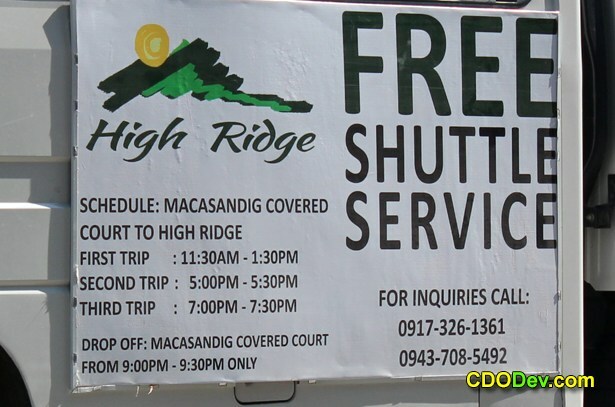 Turns out, there's a free shuttle to High Ridge at the covered court at Brgy. Macasandig, in front of Corpus Christi School. See the schedule below. 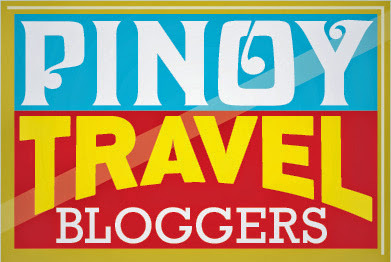 You may also get in touch with Earth Explorers Travel and Tours for a hassle-free tour across Misamis Oriental, Bukidnon, and the rest of Northern Mindanao.